Kyoto's autumn leaves (k?y?) 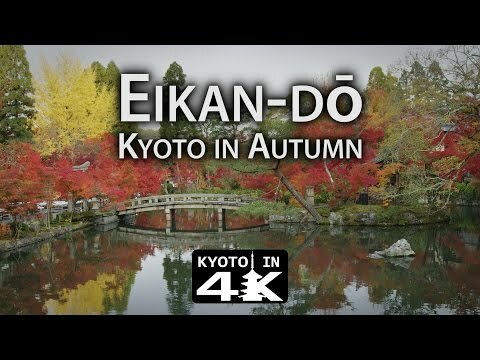 are some of the most famous in the country, and one of the most popular places to view the changing colors is at Eikan-d? temple. A Pure Land Buddhist temple originally founded in 853, Eikan-d? 's precincts are filled to the brim with maple trees, which turn a variety of fall colors come November and brighten up the landscape in shades of yellow, orange, and red. Since Eikan-d? is host to a light-up event, you can enjoy their gorgeous autumn scenery by day or by night, and neither will disappoint!